Prepare this recipe by seasoning the shrimp with the salt, pepper, cumin, and cayenne pepper. Broil or grill the shrimp without using any oil. Once the shrimp is cooked, remove from heat and allow to cool. 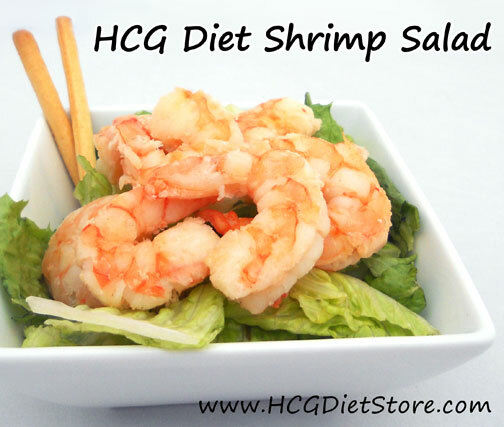 Cut the lettuce into small pieces, add cooled shrimp, top with Simple Girl Sweet Vinaigrette Dressing, toss, and serve with a grissini breadstick. This recipe is allowed on the VLCD phase of the diet (also known as Phase 2 or the 500 calorie phase). This recipe equals 1 serving of vegetables, 1 serving of meat, and 1 serving of ‘carbs'.